Sharp clear printing; each decal in perfect register; minimal carrier film; look great when they are applied to your cockpit. 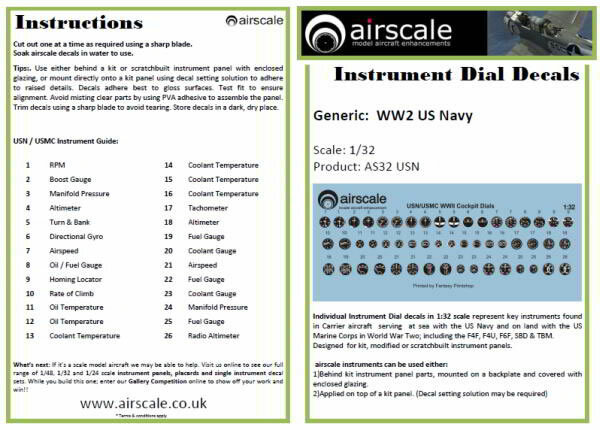 Airscale decals are simple in concept, easy to use but they have a major impact on many models that you will build. 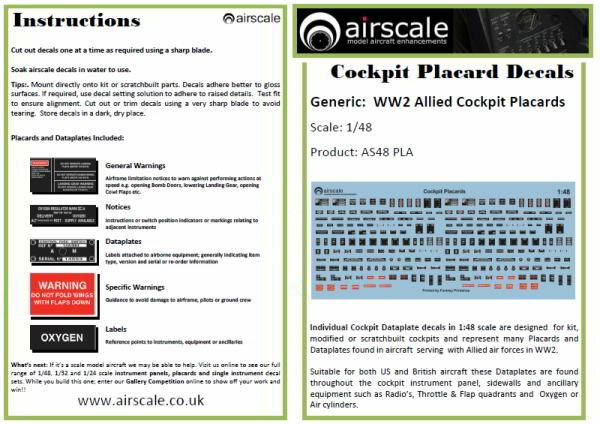 Make sure you have Airscale decals at your elbow next time you are detailing a WWI or WWII cockpit! 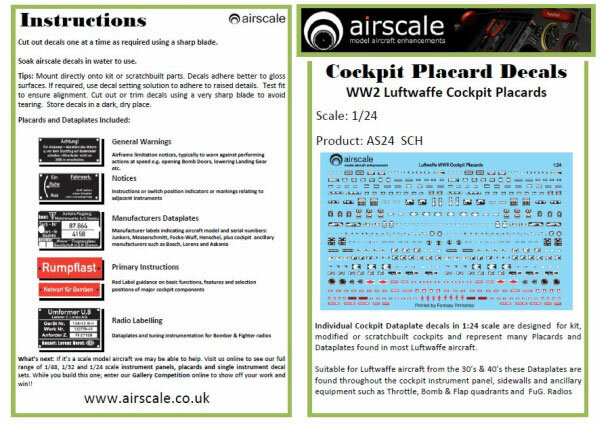 My stocks of Reheat cockpit placard decals are running dangerously low. Until this year, there has been no real alternative for placard and dataplate decals. 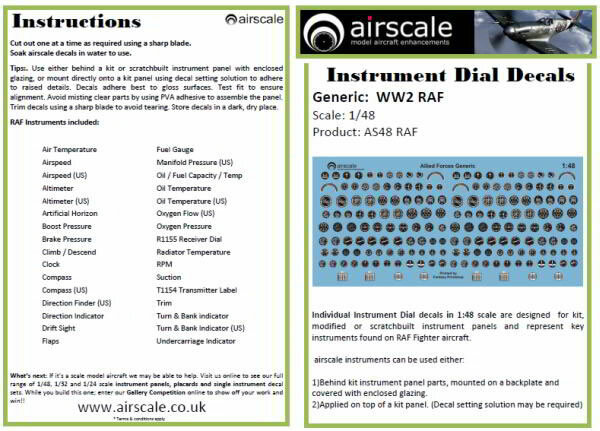 In the last 12 months though, Airscale burst onto the scene with a burgeoning range of specific instrument panels, individual instrument dials plus cockpit placard and dataplate decals. The concept is very simple. 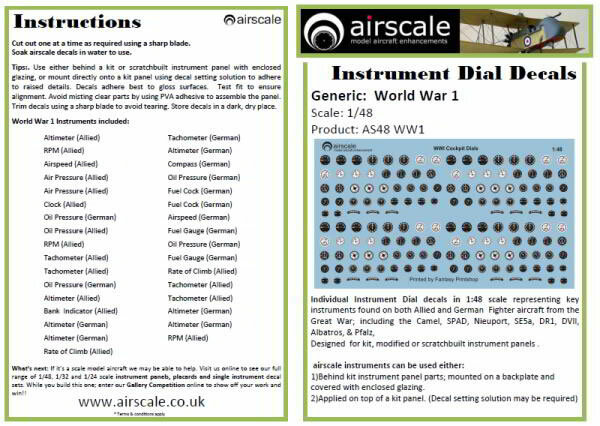 Airscale provides individual decals in sets that apply to a particular scale, era and nationality. 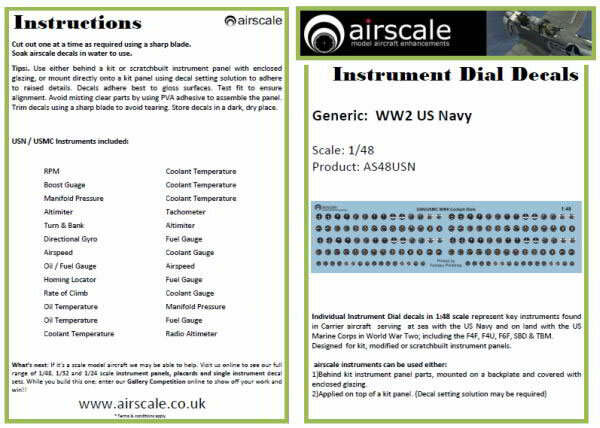 These may be used to enhance a kit cockpit or instrument panel. The individual decals may also be used to help scratch build a new instrument panel if you are not happy with the kit offering. 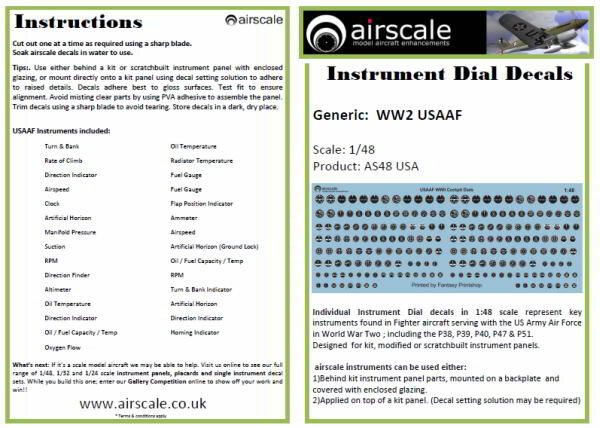 The dial decals may also be used as individual overlays for a kit's plastic instrument panel. 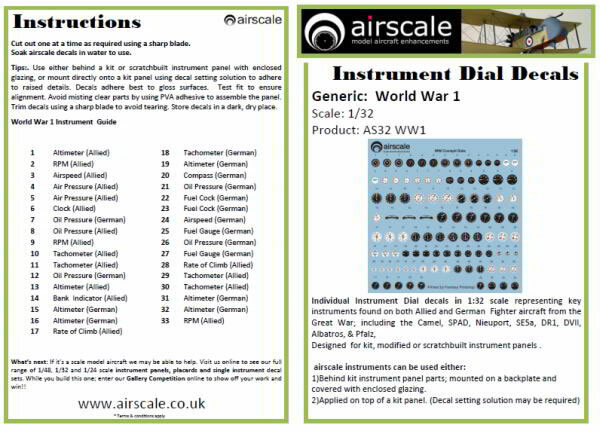 This is especially relevant if the kit has flat disks for the dials (such as most Tamiya 1/48 scale kits). I find that the placard and dataplate decals really add character to a cockpit too. The decals are printed perfectly by Fantasy Printshop. Colour saturation is good, and carrier film is both thin and barely extends beyond the individual decals. Some accessories might be described as quiet achievers. 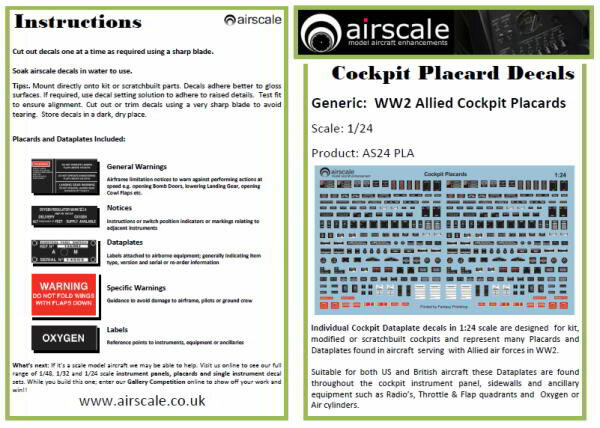 They are simple in concept, easy to use but they have a major impact on many models that you will build. 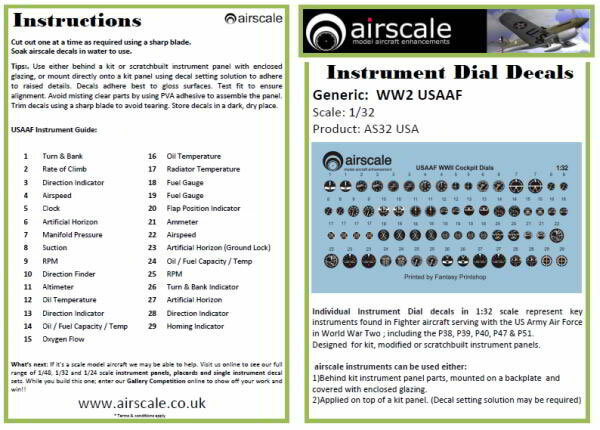 In my opinion, Airscale's instrument, cockpit placard and dataplate decals fall into this category. 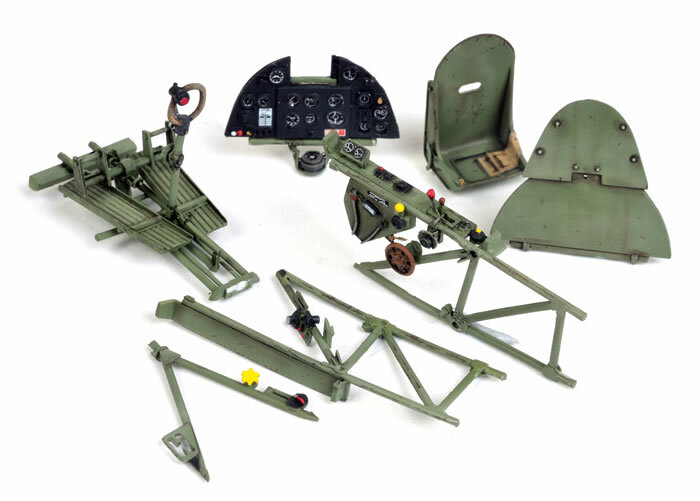 These markings will add an authentic finishing touch to virtually any WWI or WWII cockpit that you are working on in 1/48, 1/32 and 1/24 scale. 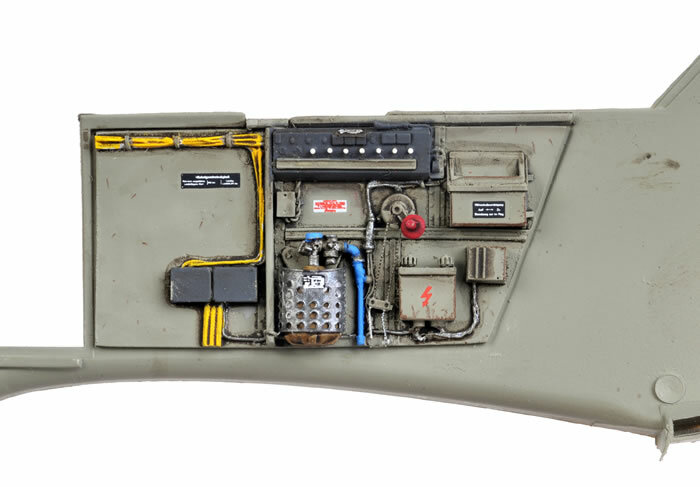 The benefit from these decals increases with the scale too - they will look particularly good in 1/32 and 1/24 scale cockpits. 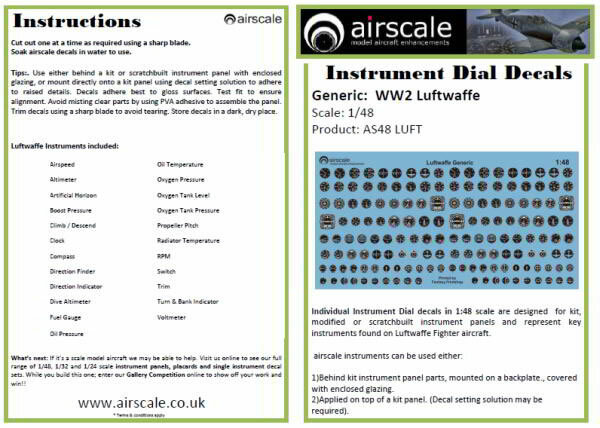 I have already used Airscale decals in a number of projects including an Eduard 1/32 scale Bf 109 E-4/B, Tamiya's 1/32 scale P-51D Mustang, PCM's 1/32 Hurricane Mk.I and Great Wall Hobby's 1/48 scale P-61A Black Widow. 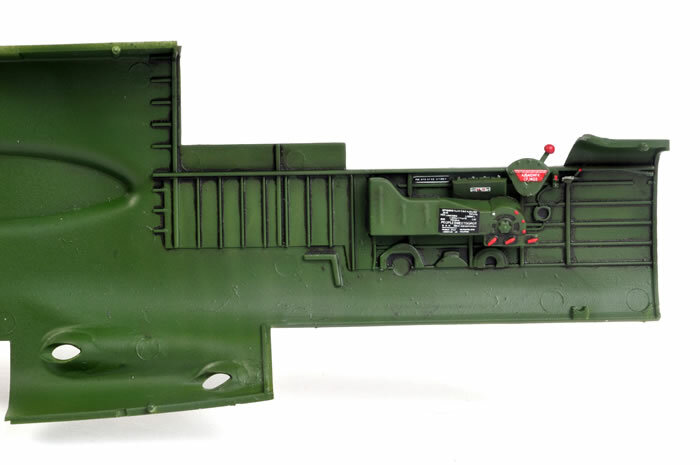 The photos in this review show the decals in place on some of those models. In all cases, they have been a valuable addition and I have been delighted with their application an appearance. Make sure you have Airscale decals at your elbow next time you are detailing a WWI or WWII cockpit!